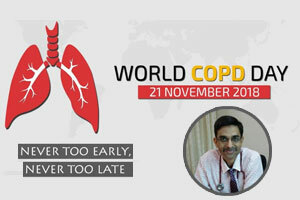 Dr. Srikant Sharma has shared his views on Chronic Obstructive Lung Disease, COPD on the eve of World COPD Day. World COPD Day is organized by the Global Initiative for Chronic Obstructive Lung Disease (GOLD) in collaboration with health care professionals and patient groups throughout the world. Its aim is to raise awareness about the chronic obstructive pulmonary disease and to improve its care throughout the world. The theme this year is “Never Too Early, Never Too Late”. The Global Burden of Disease Study reports a prevalence of 251 million cases of Chronic Obstructive Lung Disease globally. Globally, it is estimated that 3.17 million deaths were caused by the disease (that is, 5% of all deaths globally). More than 90% of Chronic Obstructive Lung Disease deaths occur in low­ and middle­ income countries. The number of cases of Chronic Obstructive Lung Disease in India increased from 28·1 million in 1990 to 55·3 million in 2016. 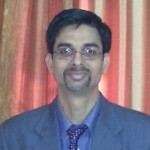 Chronic Obstructive Pulmonary Disease (COPD) is a common, preventable and treatable disease that is characterized by persistent respiratory symptoms and airflow limitation that is due to airway and/or alveolar abnormalities usually caused by significant exposure to noxious particles or gases. Smoke from home cooking and heating fuel, SMOKING. Others: Infection, nutrition, deficiency of α1 antitrypsin, genetic, abnormal lung development and Low birth weight. ➢But, one with 0 exacerbations in the past year and the other with 3 exacerbations in the past year. ►Both would have been labelled GOLD D in the prior classification scheme. ►With the new proposed scheme, the subject with 3 exacerbations in the past year would be labelled GOLD grade 4, group D.
►The other patient, who has had no exacerbations, would be classified as GOLD grade 4, group B. 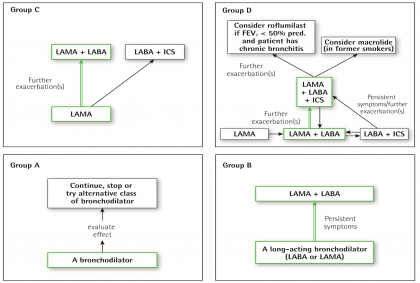 Long term treatment with ICS may be considered in association with LABAs for patients with a history of exacerbation despite appropriate treatment with long acting bronchodialators. In patients with exacerbation despite LABA/ICS or LABA/LAMA/ICS, addition of PDE4 inhibitor can be considered. for alpha-1 antitrypsin augmentation therapy. Drugs for Primary pulmonary hypertension are not recommended for a patient with pulmonary HTN due to COPD. ►COPD exacerbations are defined as an acute worsening of respiratory symptoms that result in additional therapy. ➢Severe (patient requires hospitalization or visits the emergency room). Severe exacerbations may also be associated with acute respiratory failure. ►Blood eosinophil count may also predict exacerbation rates (in patients treated with LABA without ICS). 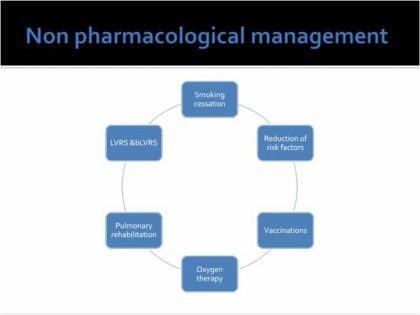 ►Maintenance therapy with long-acting bronchodilators should be initiated as soon as possible before hospital discharge. ►Systemic corticosteroids can improve lung function (FEV1), oxygenation and shorten recovery time and hospitalization duration. Duration of therapy should not be more than 5-7 days. ►Antibiotics, when indicated, can shorten recovery time, reduce the risk of early relapse, treatment failure, and hospitalization duration. Duration of therapy should be 5-7 days. ►Methylxanthines are not recommended due to increased side effect profiles. 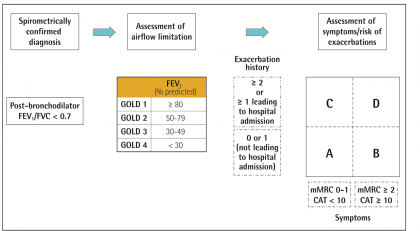 ►Non-invasive mechanical ventilation should be the first mode of ventilation used in COPD patients with acute respiratory failure because it improves gas exchange, reduces work of breathing and the need for intubation, decreases hospitalization duration and improves survival. Reduction of total personal exposure to occupational dusts, fumes, and gases, and to indoor and outdoor air pollutants, should also be addressed. ►Pneumococcal vaccinations, PCV13 and PPSV23, are recommended for all patients ≥ 65 years of age. 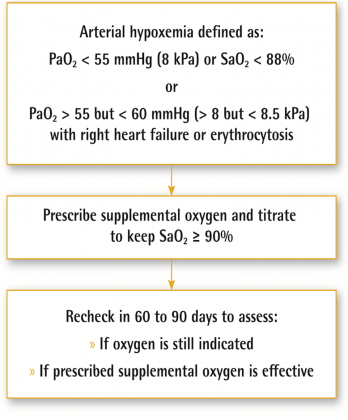 The long-term administration of oxygen increases survival in patients with severe chronic resting arterial hypoxemia (Evidence A). In patients with stable COPD, exercise-induced arterial desaturation, prescription of long-term oxygen does not lengthen time to death or first hospitalization or provide sustained benefit in health status, lung function and 6-minute walk distance (Evidence A). NIV may be considered in a selected group of patients with pronounced daytime hypercapnia and recent hospitalization (EVIDENCE-B). In patients with both COPD and OSA , use of continuous positive airway pressure (CPAP) improves both survival and the risk of hospital admissions. NPPV decreases morbidity and mortality in patients hospitalized with an exacerbation of COPD and acute respiratory failure. Optimum benefits are achieved from programs lasting 6-12 weeks. Supervised exercise training twice weekly is recommended. 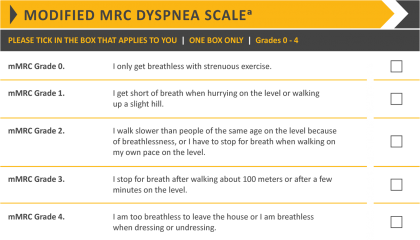 This can include any regimen from endurance training, walking, resistance/strength training; upper and lower limb exercise, diaphragmatic exercises, inspiratory muscle training, Pursed lips breathing exercise ideally should be included. 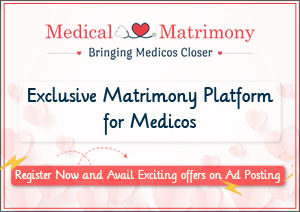 ►Lung volume reduction surgery (LVRS) should be considered in patent with upper lobe emphysema. Choosing bronchoscopic lung reduction (coil placement or endobronchial valve) or surgical resection (lung volume reduction surgery, LVRS) to treat hyperinflation in an emphysematous patient if FEV1 <20% DLCO < 20% & failing improvement with optimal medical treatment. Repeated hospitalization for exacerbation associated with hypercapnia. Pulmonary hypertension , cor pulmonale & erythropoiesis (>55%) despite oxygen therapy. 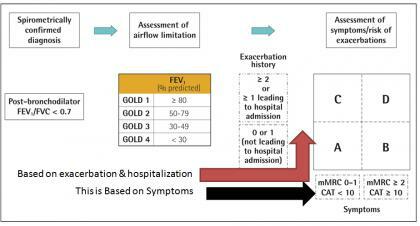 3.FEV1 < 20% DLCO <20% or homogenous distribution of emphysema. 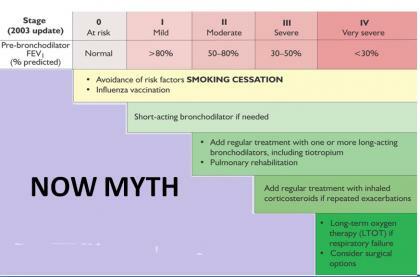 ►Co-morbidities should be treated per usual standards regardless of the presence of COPD. 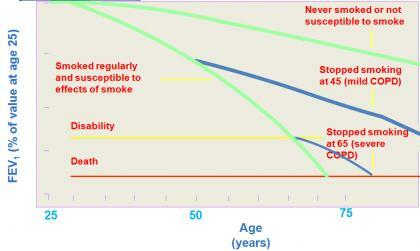 ►Lung cancer is frequently seen in patients with COPD and is a main cause of death. ►Cardiovascular diseases are common and important comorbidities in COPD. ►Osteoporosis and depression/anxiety are frequent, important co-morbidities in COPD, are often under-diagnosed, and are associated with poor health status and prognosis. ►Gastroesophageal Reflux (GERD) is associated with an increased risk of exacerbations and poorer health status..
After Dual LABD—>may be added -ICS (for exacerbation). ACOS and eosinophilic COPD –ICS in addition to LABA as first line Rx. Frequent exacerbation may need steroids, roflumilast(chronic bronchitis phenotypes,FEV1 < 50%), macrolides (former smoker). All symptomatic COPD-consider pulmonary rehabilitation. 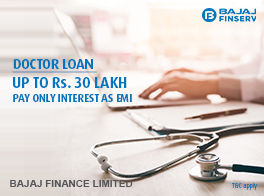 The article has been compiled by Dr Srikant Sharma is Senior Consultant Physician, Moolchand Medcity Hospital, New Delhi and Dr.Nisarg Patel ,Moolchand Medcity Hospital. 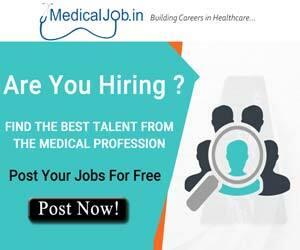 For non medical workers brief terms full description may be given once ..